New release for Omeganaut today! I'll have a few tweaks to make because debugging the collision engine while the collision shapes are invisible is quite difficult. Playing with music using Sunvox is a blast. I really like the Mega Man NES / Amiga Demo Maker feel about it. And I was wondering if it would be better and simpler to use SunVox for sounds FX too. Are there any ZGE projects that are already using Sunvox, for SFX so I can ear how it sounds ? intToStr(0x0f) and intToStr(strToInt("0x0f")) are not giving the same result. Is that normal? I didn't use Sunvox for the SFX because I didn't find a clever way to make it work for that task. Ehm .. it's super easy, you can simply trigger notes using the sv_send_event function. Attached is a example ( use left-mouse-button to trigger sound ). Do keep in mind that SunVox is ( generally ) a lot more computationally taxing compared to ZGE's sound engine. As Ville mentioned, the built-in strToInt only supports decimal values. So, here's a quick & dirty function that converts decimal ( integer-only ) / binary / octal / hexadecimal strings into a integer ( no error checking, so make sure to pass valid strings ). 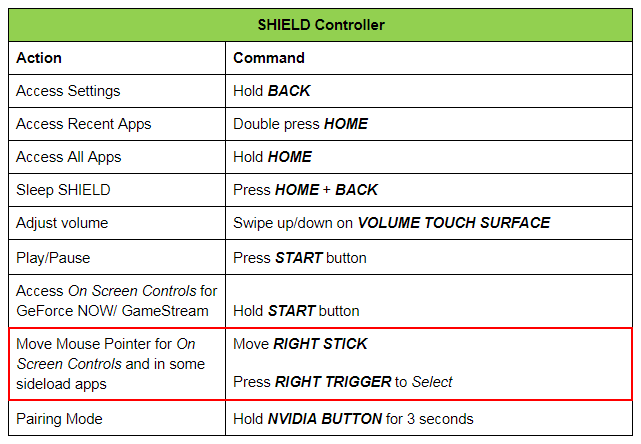 Now I have this weird bug on Android Nvidia Shield TV: the gamepad is acting like a mouse. Nothing have changed in my game regarding gamepad input. I'm still trying to make the gamepad to work under Android. So I tried pluggin my xbox360 controller on Windows and it's not working either. I'm pretty sure I could play Omeganaut with my xbox360 controller before. So I searched for a project that claimed to work with that one. And Vector Locust says it does. But my controller is not working at all in Vector Lust. Even if it is recognized by Windows' joy.cpl and it's working on other games. Just tried Delver and No Man's Sky. But I have another old gamepad and flightstick that works well with ZGE. That's really weird. So either my xbox360 is kinda broken, or Windows made something in the background of Windows 10 relating their gamepad? Can someone with an xbox360 gamepad test my game or Vector Lust and tell me if it's working? I just tried vectorllust.exe and omeganaut.exe on linux using Wine, and the xbox360 gamepad is working fine. What's going on with Windows?